Nothing complicated about Business Validation, passed it successfully in a couple of days. 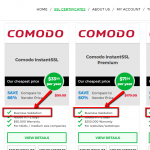 The SSL Wizard helped me choose this product for my company in Singapore. It can also secure an IP address which is a welcome bonus. Opted for this certificate to secure an IP address. Quite easy to configure it. Which BV certificates have a quicker and easier Business Validation process? 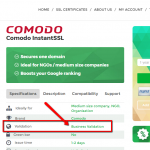 BV SSL Certificates issued by GeoTrust, Thawte and Symantec have a quicker and easier Business Validation process compared to those issued by Comodo/Sectigo. 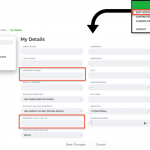 With GeoTrust, Thawte and Symantec, the Certificate Authority does most of the company validation process all by itself, and in rare cases requires the customers to provide additional information and legal letters signed by a notary, certified public accountant, or an attorney. 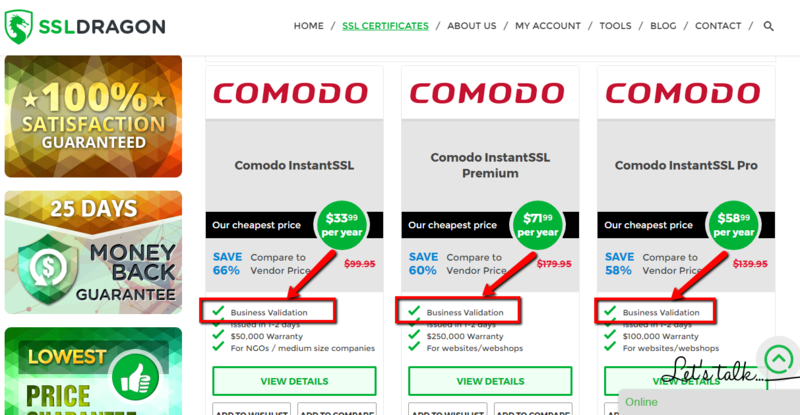 On the other side, Comodo/Sectigo relies a lot on the customer to provide all the information about his/her company, as well as updating the company’s DUNS listing (on the Dun & Bradstreet website) and providing legal letters signed by a notary, a certified public accountant, or an attorney. You can read what the Business Validation process with these different brands consists of at this link. 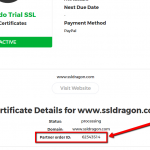 Can I secure an IP address with an SSL Certificate? 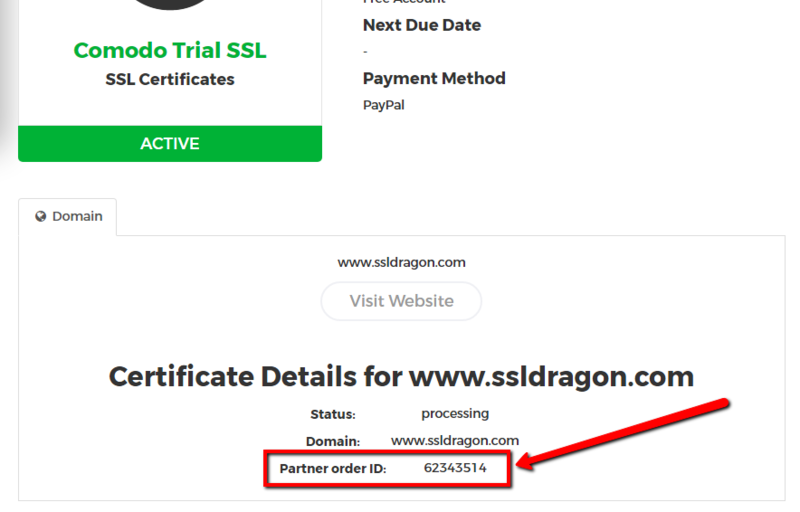 Please note that this certificate is a Business Validation SSL Certificate, which means that you need to have a registered company in order to be issued this SSL certificate.